He stands in front of me , with a warm smile, His apron impeccably white and without a crease. “But chef there is a request, I am allergic to cabbage.. so if you can please avoid…” I mumble. “Not a problem madam! “he replies patiently. We are seated in a nearby restaurant famous for its Oriental cuisine and interactive kitchen. Being a vegetarian and a lover of Oriental cuisine. Sounds ironical, doesn’t it? Ironical , Yes. Impossible , No! I have always loved Singaporean food.Even though the restaurants that serve Singaporean and Oriental cuisine in our country can hardly be called authentic, barring a few. To my delight, the chef had presented a scrumptious meal that not only satiated my taste buds but was appeasing to the eyes too! In my late teens, I started cooking and dabbling with a variety of kitchen experiments, the love for Oriental Cuisine was imbibed in whatever I made. Gradually I started experimenting and creating the food I loved. And it was an experience in itself. 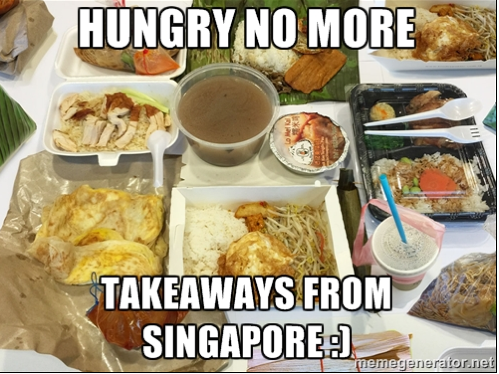 From purely authentic Singaporean dishes to replicas with a desi Indian twist, I did it all. Rushing to the nearby departmental store, endlessly watching Youtube videos and spending hours getting the output I wanted. Sigh! So much for the love of wok and chopsticks! It was therapy : Chopping vegetables in different shapes for different dishes, the aroma of the spices, the sizzle of the stir fry and the delight in brewing curries with the vegetables boiling in thick, aromatic gravies. Thanks to all my kitchen adventures I can proudly present some of my absolute favorite , tried and tested , eaten and enjoyed , vegetarian Singapore recipes! Some of the traditional meat recipes are substituted with Tofu, soya and mushrooms. But many recipes are actually loaded with vegetables , keeping the basic essence of the dish and the culture of Singapore alive! Extremely easy to make and absolutely irresistible. Boil the rice vermicelli/ noodles , strain , toss in peanut oil and keep aside. In a wok, heat some peanut oil and add the garlic and shallots. Add carrots, bell peppers , mushrooms and broccoli and stir fry. 4.Meanwhile, mix all the sauce ingredients in a bowl and keep aside. 5.Once the veggies are cooked (do not overcook) , add the sauce mixture and bring to a boil. 6.In a plate pour the noodles and the stir fry vegetables on the noodles. Your Singaporean Stir fry noodles are ready! The next recipe is of Nasi Goreng (Indonesian fried rice) widely popular in Singapore. Boil rice and let them cool completely. You can use leftover rice as well. Ground the paste ingredients in a mixer or mortar and keep aside. In a large wok, heat the oil and fry the shallots, garlic, fresh red chillies and celery. Add the ground paste and fry it for some time. Add the carrots, beans and bok choy and fry on high heat till veggies are cooked. Add the cooked rice, salt, black pepper and sweet soy sauce and mix well. Garnish with spring onion greens, fried cashews, rice crackers and sliced cucumbers and tomato. Nasi Goreng is ready to serve! Besides these there are various recipes and side dishes like Oseng Oseng Wortel (carrot side dish), Kaya toast (a snack made of coconut jam , sugar, milk and butter which are options for vegetarians. 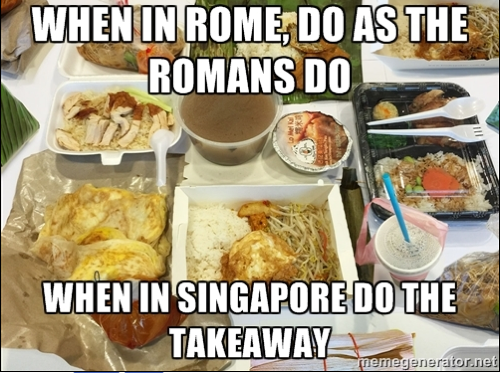 Now when I visit Singapore next time,my research on the vegetarian restros will eventually pay off! Thai influenced recipes at Whole Earth. 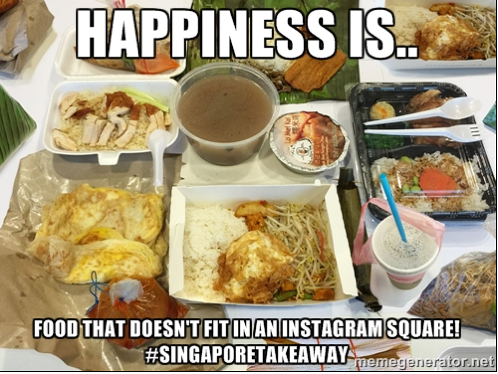 This post was written for Indiblogger’s Takeaway level: Singapore Contest sponsored by Far East Hospitality. Delicious. Looks yummy 🙂 I am hungry now. Oooh! Dint know you are a vegetarian and this looks incredibly yummy! Wonderfully presented girl – wish I could dig in right away! Hehe yep vegetarian since forever 🙂 thanks much Arti 😊 so glad you liked it! Super post, now that was quite a similarity Divsi 🙂 I am a veggie and love oriental food 🙂 the post is super and picture well they are yours so need i say more….superb!